There’s only one week left to stop Trump’s Supreme Court pick Brett Kavanaugh and we’re joining our coalition partners to protest in the halls of the Senate. 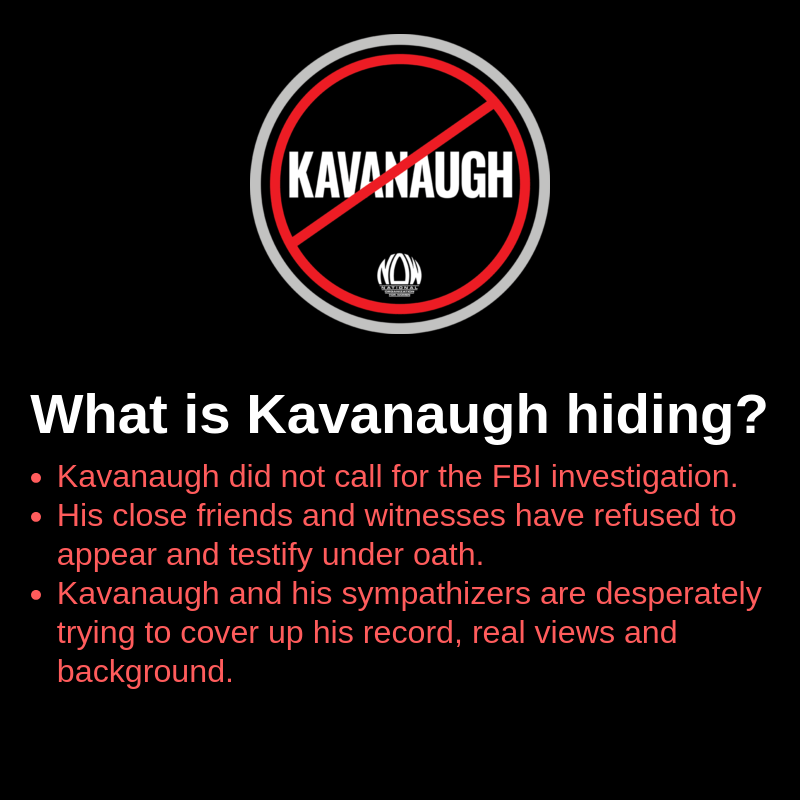 We need to meet with Republican senators face to face to urge them to stop his nomination. Will you sign up to join us on Capitol Hill this week to try to talk to Senators? 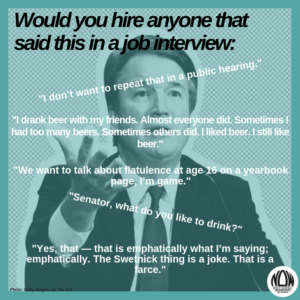 Shifts are available every single day this week, at 8:30 a.m., 12 p.m., and 4 p.m. Training begins in the Hart Senate Office Building Atrium each day at those times. Sign up for as many as you can, and someone from UltraViolet will get in touch ASAP. NOT IN D.C., BUT STILL WANT TO MAKE A DIFFERENCE? Find your senators here and show up at their office(s). 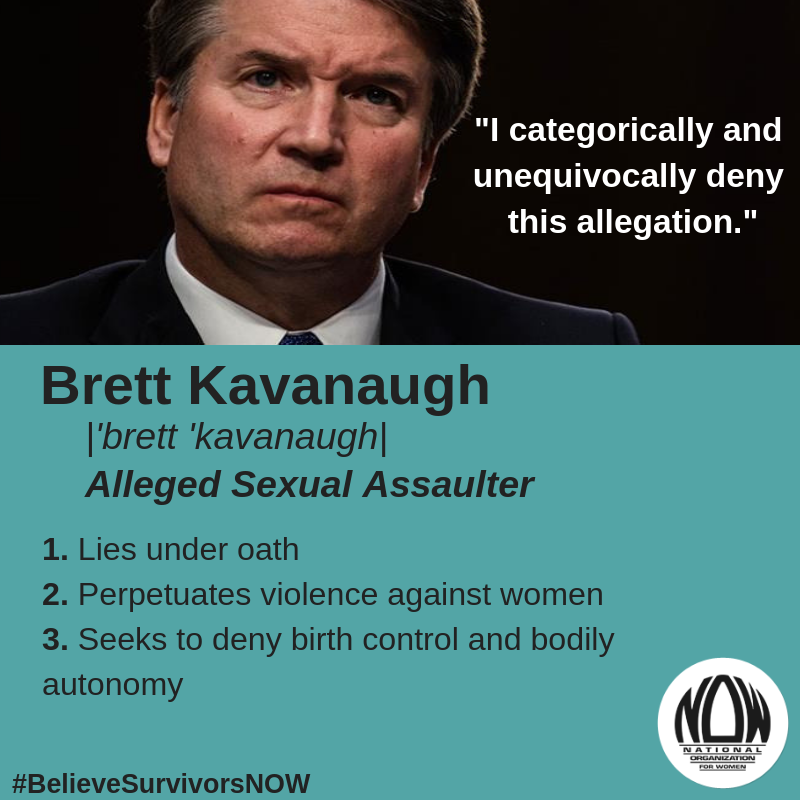 Deliver written letters, call (202) 224-3121, or email your senator urging them to vote no on Kavanaugh’s confirmation. We’re not giving up and neither should you. Jam the phone lines. Flood inboxes. Protest. Sometimes when you call or visit Senator’s state offices you’ll find more support staff. 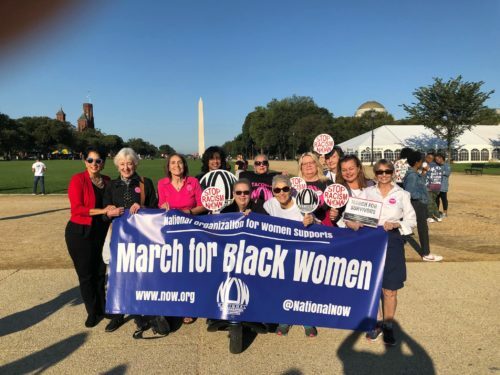 On Saturday, September 29, the National NOW Board joined the March for Black Women in Washington D.C. Watch our special video message to survivors of sexual assault everywhere. Your voice on social media matters! 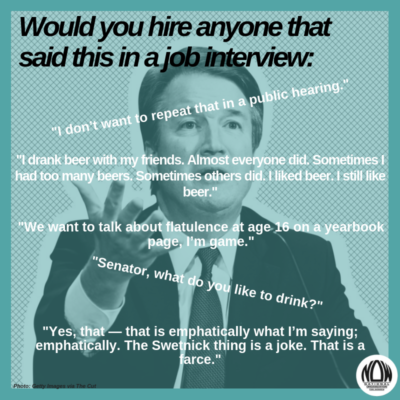 Feel free to use these graphics to speak out on reasons why Kavanaugh is UNFIT for leadership at the Supreme Court! 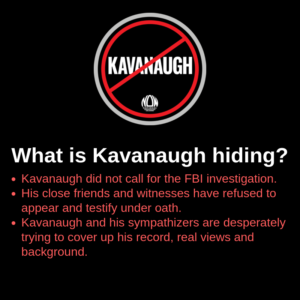 Last week, NOW issued a letter to Senator Feinstein and Senator Chuck Grassley expressing concerns that the Senate Judiciary Committee was failing in its duties to fully vet Brett #Kavanuagh. Our letter was entered into the record during the hearing and we’re proud. This is far from over and we need YOU to keep up the resistance. Read and share our letter.